I am looking for a graphic designer to design a logo and app icon for a healthcare app. 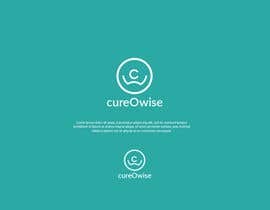 The name of the app is cureOwise and the key features revolves around - Care, communication, collaboration and Cure. Attached are the two rough concepts that the team has created - One is meant two be two infinity perpendicular to each other, with patient at the centre. The other one seems more like 4 interconnected C, with either patient at centre or + sign at centre. If you can use these concepts to create something better then great otherwise feel free to create something of your own that represents the app. Logo will be used on the website of the app, and also on few headers within the app. App icon will be on the mobile app, and also on the store. The design needs to be minimalist. Please DON'T use heart symbol, or leaves or any standard healthy person's image. Those icons will be rejected immediately. sir, may I create same of your concept? Amrish, unfortunately didnt like it. Rejected it because its no where near the concept.